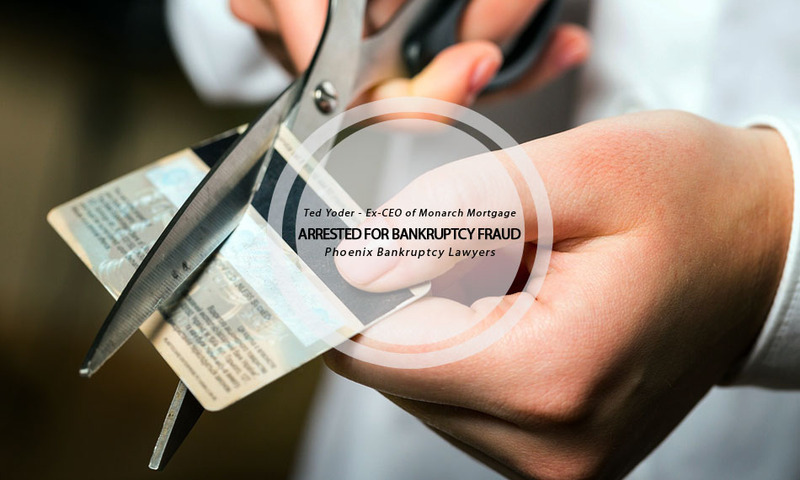 On June 9th, 2016 the ex-CEO and president of Monarch Mortgage was indicted on charges that claim he hid over one million dollars in assets when he filed for bankruptcy in 2011 and 2012. After his arrest, Yoder was released on a five thousand dollar bond. His arraignment is scheduled for June 22nd. In order to understand the story of Ted Yoder, it helps to know some key legal definitions. Filing for bankruptcy involves meeting with a lawyer, who compiles the debt you plan to file. If the debt is considered payable with your income, a lawyer will typically advise not filing for bankruptcy. If it is determined that you cannot pay the debt, the case goes to court and is approved. Once approved, essentially all of your debt is eliminated and you owe nothing. However, filing bankruptcy isn’t just a magical way to not owe any money. A bankruptcy will stay on your credit for about ten years and affect your ability to get loans, credit card, a home, a car, and virtually anything else that you need credit for. Chapter 11 bankruptcy is a way to restructure debt in a company or for an individual while under the supervision of a court. Chapter 7 bankruptcy involved the liquidation of assets. Yoder filed for both chapters in 2011 and 2012. 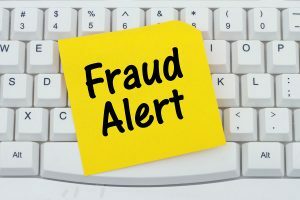 What exactly is bankruptcy fraud? Bankruptcy fraud is an inherently white-collar crime. There are four different types of bankruptcy fraud. The first type of bankruptcy fraud is the intentional concealing of assets to avoid having those assets taken. This is the most common type of bankruptcy fraud and accounts for nearly seventy percent of all bankruptcy fraud cases. The second type of bankruptcy fraud is intentionally filing false forms or incomplete forms. The third type of bankruptcy fraud is when debtors file multiple times with false information or by filing in various states or provinces. The final type of bankruptcy is the act of bribing a court-appointed trustee. Bankruptcy fraud is typically done in an attempt to keep assets safe from forfeiture, or to effectively end any debts owed while maintaining wealth. Bankruptcy fraud is often committed by businessmen and executives, or by inherently wealthy people. Authorities believe that Yoder has a partnership with someone from Virginia Beach to conceal around three hundred and forty thousand dollars from creditor. Yoder also continued to hide more of his assets on his own. The sought judgement is expected to be around $1,059,000. Yoder filed for bankruptcy in 2011 after being met with several lawsuits from Bank of Hampton Road. The bank’s representatives claimed that they wanted some substantial loans paid back from a development partnership that Yoder approved. When filing for bankruptcy, Yoder claimed he had nearly three million dollars in assets and four million dollars in liabilities. When that filing was dismissed, Yoder attempted to fill, this time for Chapter 7 bankruptcy instead of Chapter 11, in late 2012. After working for Monarch, Yoder is accused of selling around 132,000 shares of stock for Sirius between the two bankruptcy filings, as well as wiring the profit of the sale to a friend. Yoder is accused of concealing that transaction or other assets that came into his possession after the first bankruptcy filing, which include federal and state tax refunds. Upon his release, Yoder was ordered to surrender his passport and remove firearms from his home. Yoder was also ordered to stay in the state of Virginia and abstain from alcohol and drugs under the supervision of a parole officer. The person that Yoder conspired with to hide his assets was named as Susan Gorby, who plead guilty to bankruptcy fraud and is awaiting sentencing. Bankruptcy fraud is a popular crime. Yoder isn’t the only hot shot that got caught committing bankruptcy fraud recently. Kent Lindemuth, a real estate developer from Topeka, Kansas, was arrested for one hundred and three counts of bankruptcy fraud earlier this year. Lindemuth filed for Chapter 11 bankruptcy in late November 2012 and claimed that his debt accumulated to nearly four million dollars. Lindmuth is accused of purchasing nearly a hundred firearms worth approximately eighty thousand dollars less than a year after he filed for bankruptcy. Lindmuth concealed these assets from creditors. The punishment for bankruptcy fraud is very severe, as bankruptcy fraud and fraud of any kind are considered very serious offenses. The maximum penalty for a count of bankruptcy fraud is $250,000 and five years in a federal penitentiary. While bankruptcy fraud is a crime favorite of the super wealthy, bankruptcy fraud can be committed completely by accident. Fraudulent errors can be avoided by doing any and all bankruptcy paperwork correctly. The best decision someone considering bankruptcy fraud could make is to consult with a Phoenix bankruptcy lawyer for advice on how to make sure you do not make very costly mistakes or omissions. I need to file for bankruptcy, where should I look for a bankruptcy lawyer? Look no further than Phoenix Bankruptcy Lawyers. This lawfirm, featuring talented and experienced bankruptcy lawyers, will walk you through the process of bankruptcy and evaluate your debt. You should always try to find the best lawyer for any legal situation, especially bankruptcy. Bankruptcy fraud is an easy thing to do by accident and a good lawyer can help you to avoid makinging a mistake. A bankruptcy lawyer from Phoenix Bankruptcy Lawyers will provide you with quality legal service gained from experience and niche expertise in the area of bankruptcy financial law. Contact us today for more information!